What can be better than a fun-filled vacation with the family? 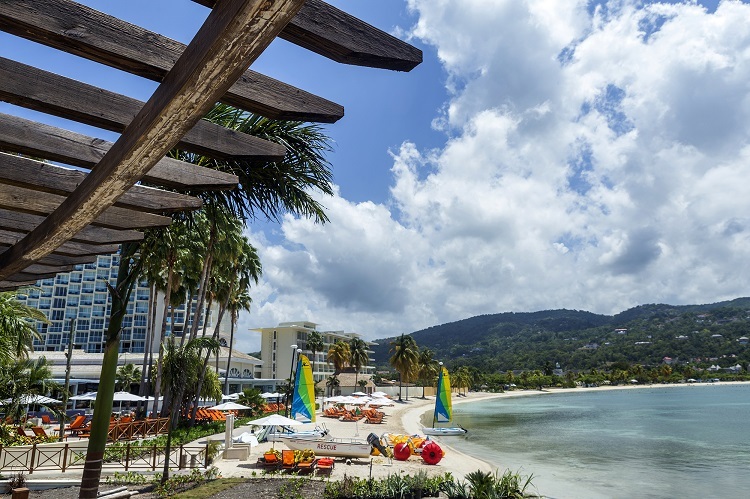 A vacation in an exotic beach location complete with powder-sand beaches, warm waters and plenty of activities to keep everyone entertained! These sun-washed properties offer plenty of beach time, delicious meals and first-rate, spacious accommodations. The hardest part is deciding which one to visit! 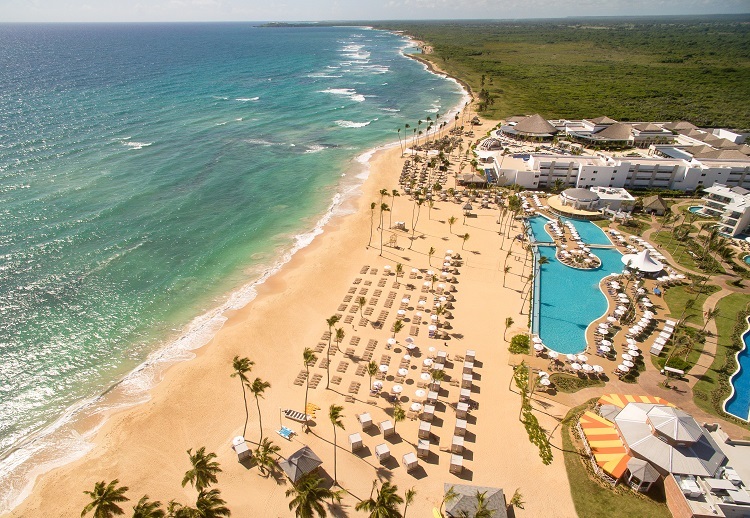 SpongeBob SquarePants and friends invite you to stay at the Nickelodeon Hotel and Resort Punta Cana! 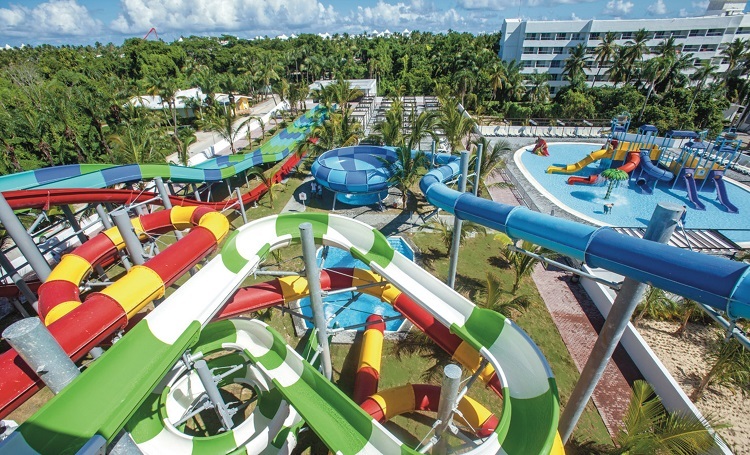 Think of it as one big kid-centric water park with delectable meals and colorful accommodations thrown in for good measure. Nest rooms cater to adults only, while the Pad Suites are great for small families. Upgrade to the swim-up Swank Suites to have direct pool access – and bonus, they’re able to accommodate up to six people… so bring the whole family! Enjoy cartoon character breakfasts at Zest on the weekends or dine at the space-themed Spacewalker cafe. For some adult time, indulge in a meal at Kitchen 23, offering contemporary cuisine with a tropical twist! The Vassa Spa offers massages and treatments for adults and children, for an additional fee. All-inclusive programs cover most meals and activities, even the chance to “Get Slimed”. What a memorable experience! 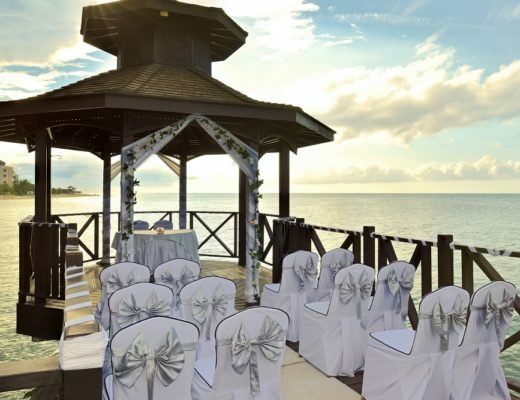 The all-inclusive Moon Palace Jamaica Grande is in the heart of Ocho Rios, Jamaica. Boasting its own water park and arcade, you’ll find plenty of family-time activities. 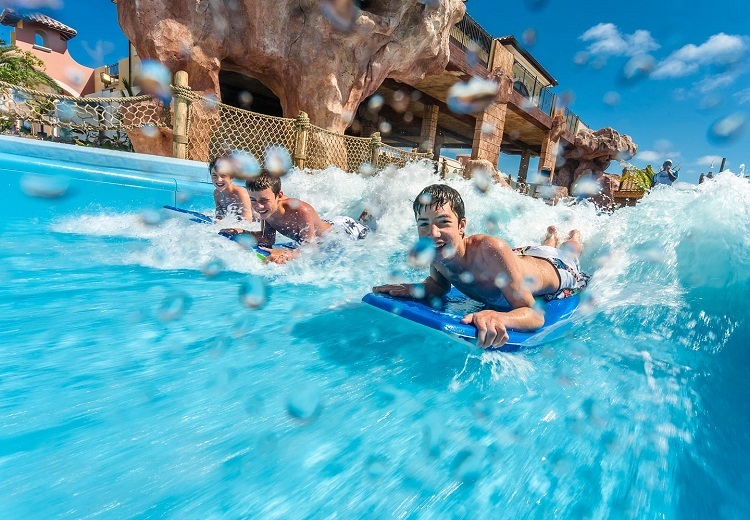 Learn to surf on the FlowRider Double Wave Simulator or go for a family swim in the mega pool. Paradise for Kids offers activity rooms having everything from air hockey tables, arcade games to an indoor ball pit. While the kids are jamming with the karaoke machine, enjoy some adult pampering at the Awe Spa! Accommodations include spacious garden, partial ocean or ocean view rooms for up to four people, and family suites with two separate sleeping areas for more privacy. Enjoy pizza or a snack poolside, family dining at Boulangerie or oriental food with a flare at Momo. For more formal. mature dining, enjoy all eight eateries and bars on site! 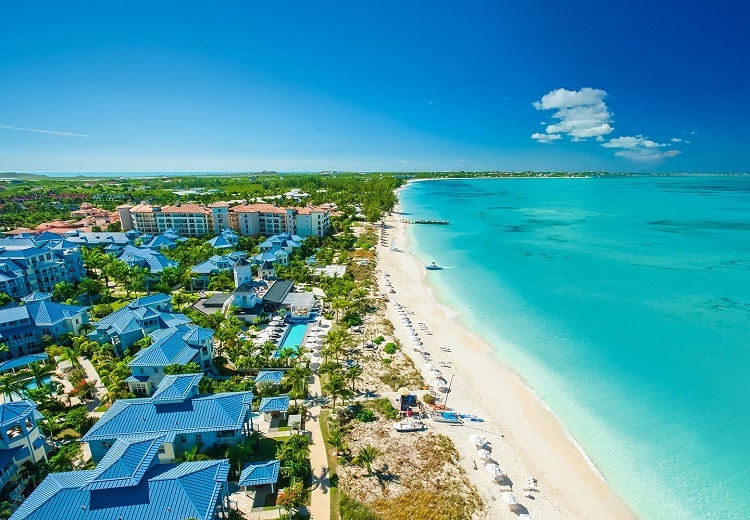 At Beaches Turks and Caicos, you’ll find a 45,000 square-foot water park and a 12-mile long beach to explore! A special Sesame Street kid’s section features characters offering giggles and photo-ops. Even Big Bird wanders about! Choose from 19 international restaurants, such as Marcos, serving Italian fare, or Kimotto’s, where the chef puts on a show while cooking a meal at your table. Adults may enjoy the 15 onsite bars and lounges. More than two dozen room categories are available in four different villages representing the Caribbean, Italy, Key West and France. Travel the world in just one property! How cool is that? 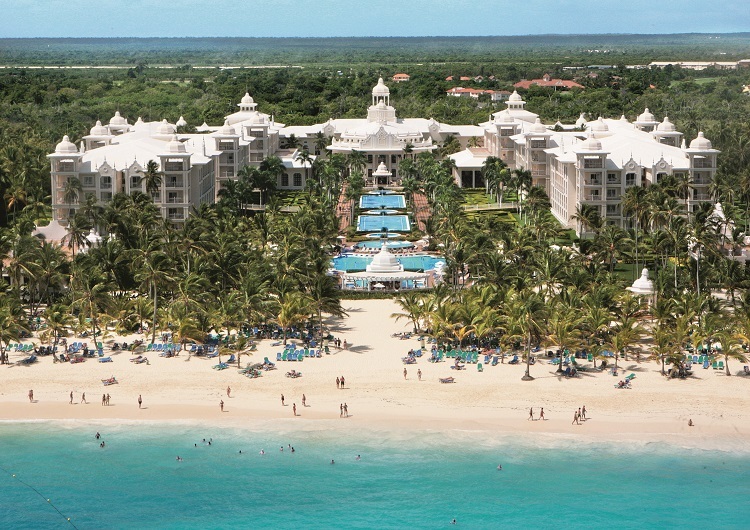 The Arena Gorda Beach is home to four all-inclusive Riu Punta Cana resorts, all enjoying access to Splash Water World. 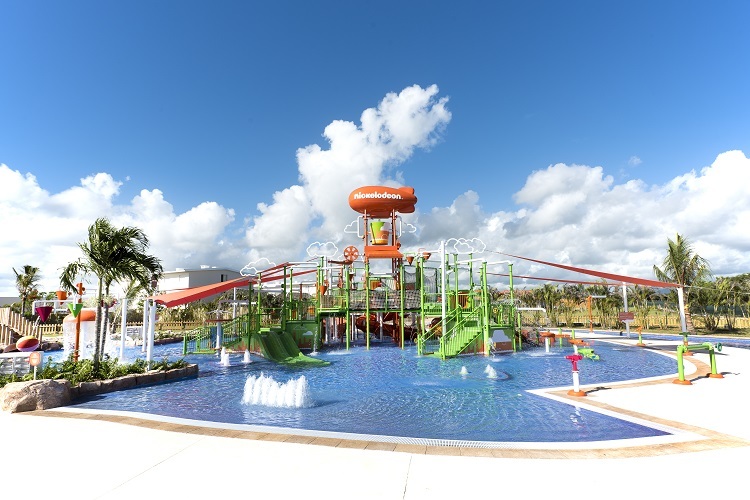 This water park is filled with splash pads, a wave pool and thrilling water slides. 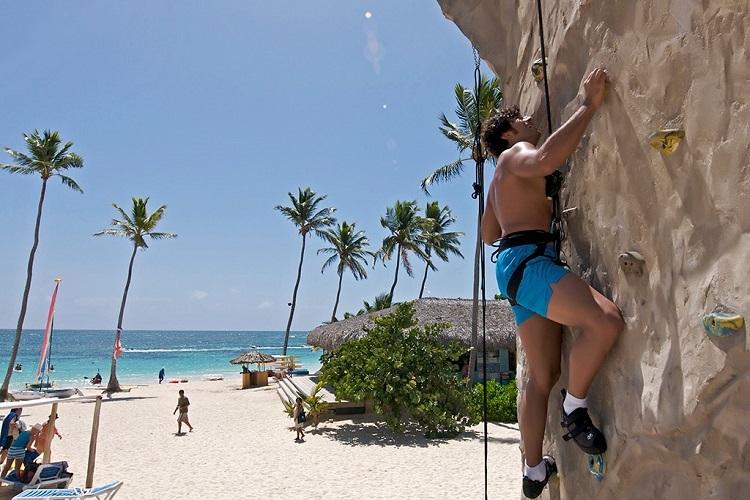 Two resorts are family-friendly, the Riu Palace Bavaro and the Hotel Riu Naiboa. 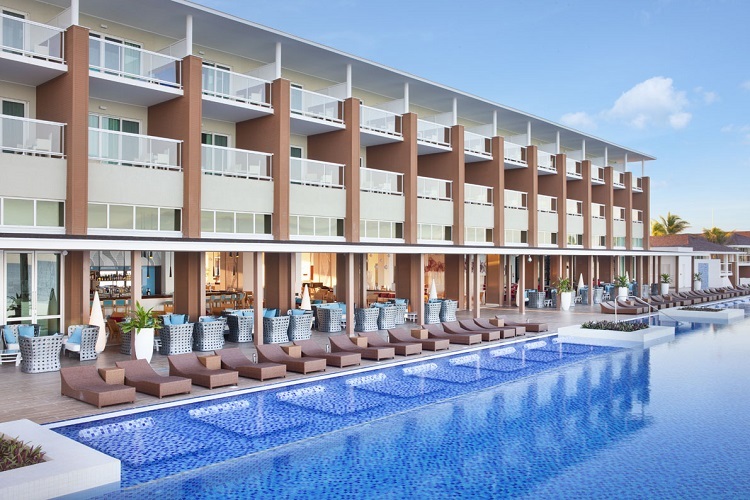 At Riu Palace Bavaro, choose from over 600 rooms, including junior and full suites in 12 deluxe villas. Enjoy two swimming pools, one with a whirlpool spa and a swim up bar, and an additional children’s pool. 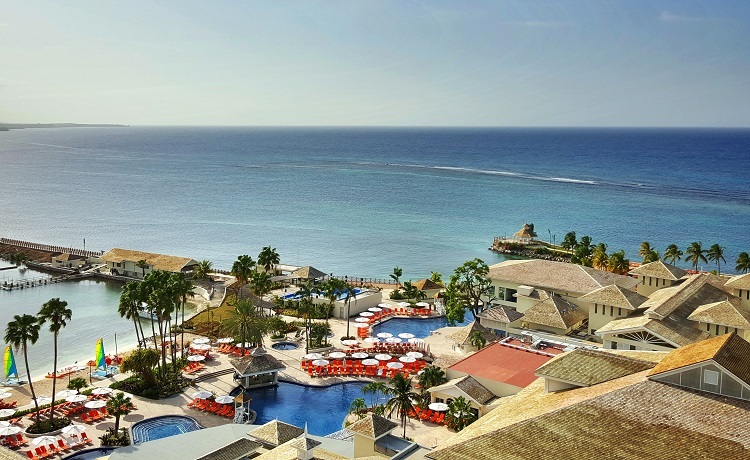 Ocean Vista Azul, fronting a stretch of white sand in Varadero, Cuba, offers elegant tropical luxury for any Canadian bride looking to have a family-friendly getaway. 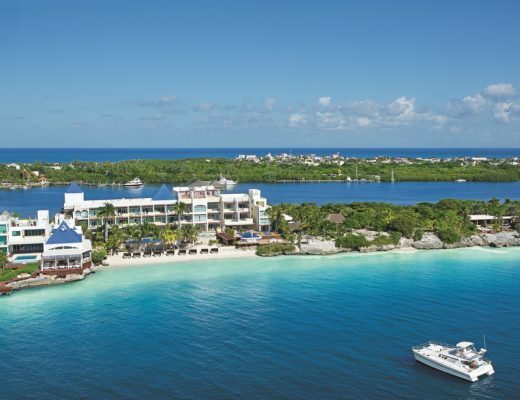 Boldly colored furnishings fill the rooms including the spacious ocean front master suites. Two children’s programs, the Daisy Club for children ages four and up, and the Teen Club offer age-appropriate activities and give the adults some free time. While the kids are playing water polo or building sand castles, indulge in a couples massage at the Despacio Spa Centre or enjoy a drink poolside. Dine at the International Chef Display buffet or sample foods from around the world at five other restaurants. Five bars and lounges are onsite. 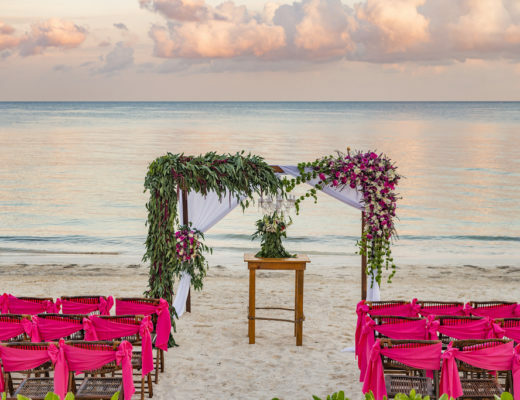 For more destination wedding inspiration and information, be sure to visit our website and Pinterest!